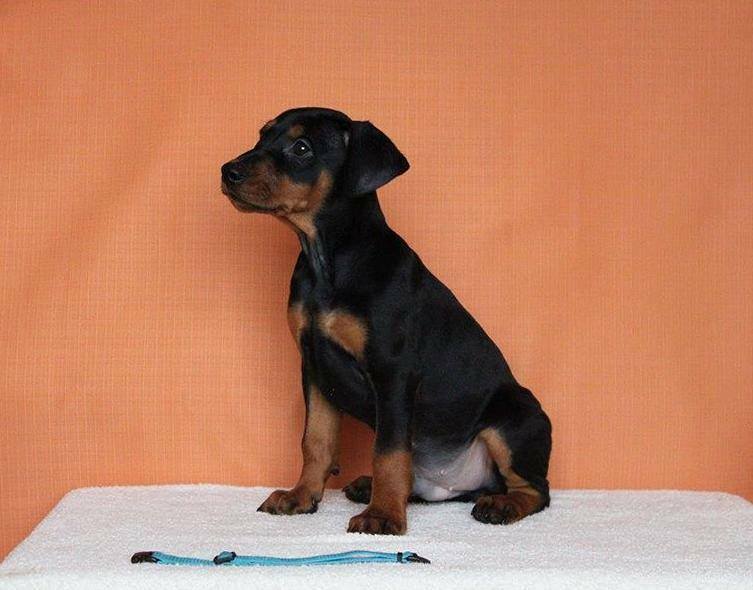 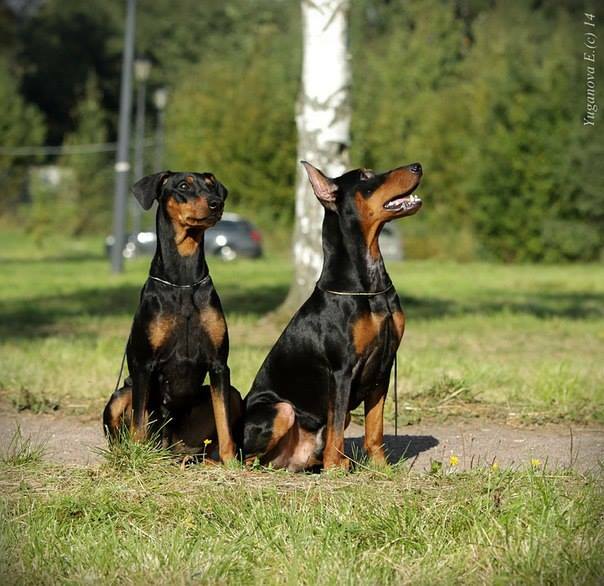 Beautiful puppy of German Pinscher black and tan color . 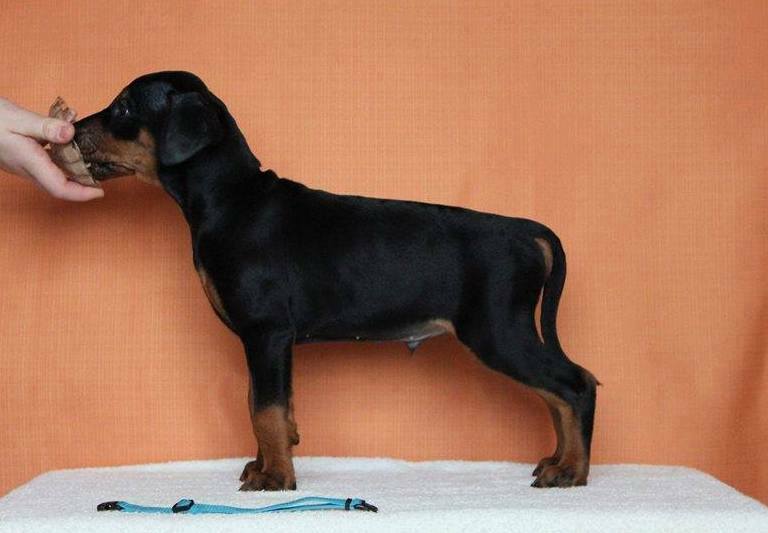 The cattery is engaged in professional breeding of this breed, is responsible for the quality the appearance and health of the dog. Full package of documents . 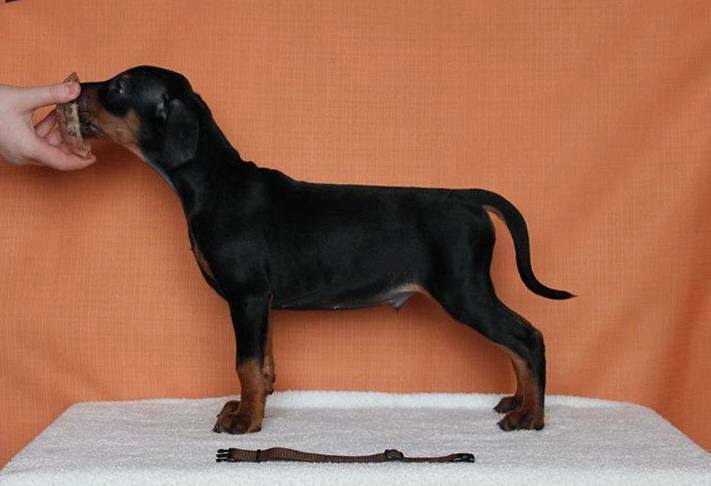 with vaccinations and advice for growing puppy.